Don’t let the title fool you. “Cactus Flowers” by Susan Lowell presents a treasure trove of information on a host of other cactus-related subjects. This is about so much more than just cactus blossoms. This title is part of Rio Nuevo Publishers’ Look West Series. It belongs in every cactus lover's library. Consider this as a gardening gift for that gardener. It would make a perfect gift any time of year, including Mother's Day, birthdays, and Christmas. This book is based on the author's personal gardening experiences. She presents the life story of her own night blooming cereus, which she has named Audrey. She uses that as a jumping off point to delve into the natural history of all sorts of cacti. She focuses much-needed attention on the relationship of the blooms to their pollinators with emphasis on bats and the role these play in the life cycle of the plants. Lowell also tackles a subject that many other sources don’t—the confusing Latin and common names that are used for these plants. She provides a list of the unusual common names that are given to some cacti. The author provides a wonderful rendition of a traditional folk tale about the Queen of the Night cactus. Lushly illustrated in full color, these exquisite photos show cacti and cactus flowers at their peak of beauty. Gardeners will appreciate the fact that she dispels the common myths that are rampant in the gardening world with respect to their culture. She provides no-nonsense gardening advice that will help both novices and experienced gardeners. Novice gardeners will appreciate the section on easy to grow cacti that are best known for their flowers. 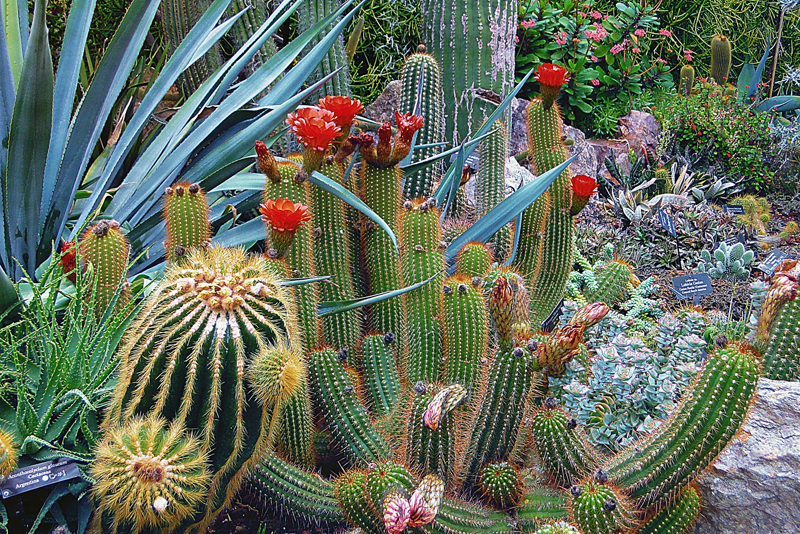 The appendix features a list of public gardens, parks, and other places one can see cacti. The Look West Series from Rio Nuevo includes titles on buffalo, coyotes, Navajo rug designs, the roadrunners, and Gambel’s quail.